We do not currently have enough stock to meet the quantity requested. We have 28 available. 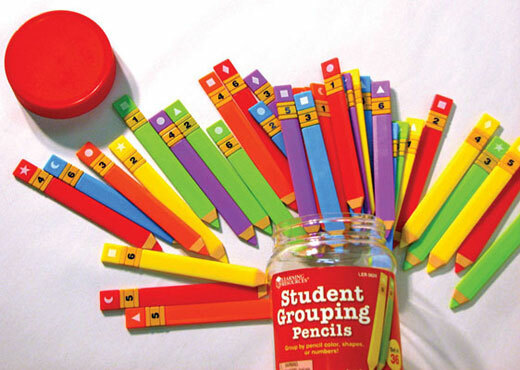 If you would like to order more than 28, please call in your order to 1-800-TEACHER. Give These Giant Magnetic Spinners a Spin! Use these magnetic spinning arrows to choose a topic, decide whose turn it is and build sentences ... it's easy to make anything into a game! 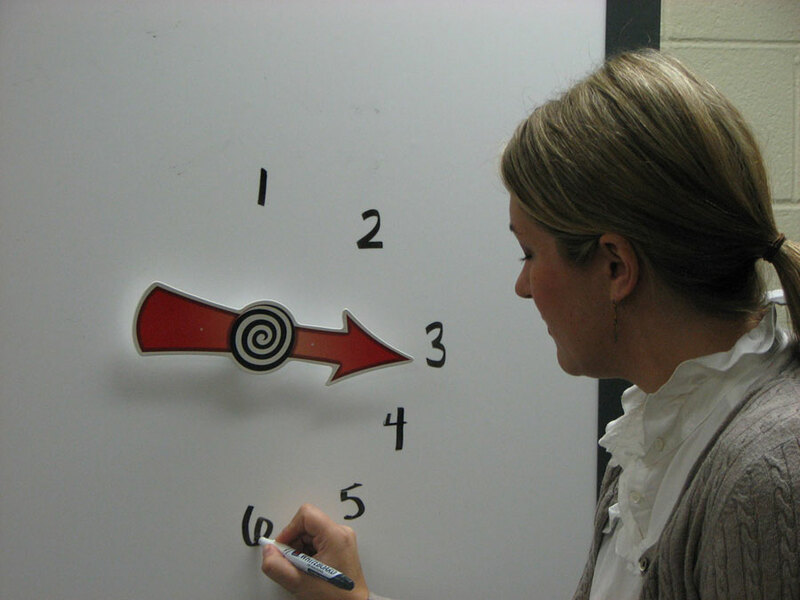 Just stick them on your magnetic whiteboard, write the options around them and let the fun begin. 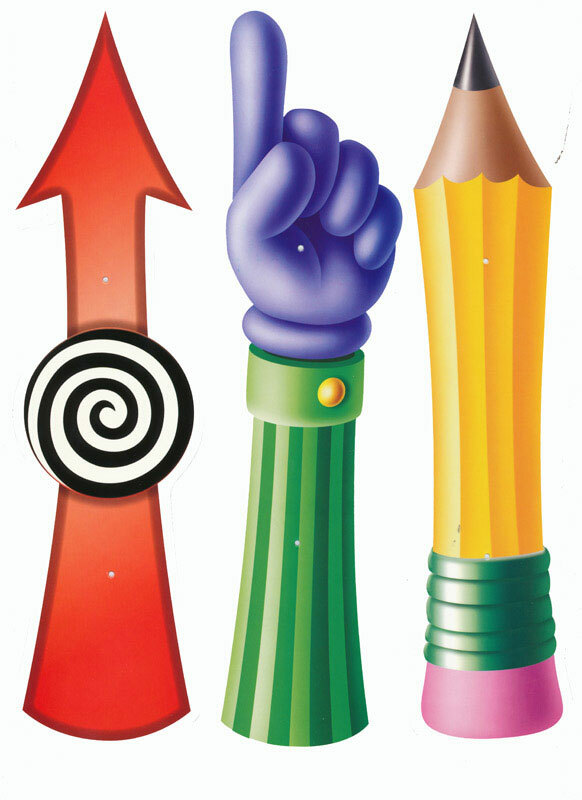 Three styles: pointing finger, arrow and pencil. Each measures 11 inches long x 2 inches wide. Heavy, glossy cardboard. Magnetic Spinners are the best! 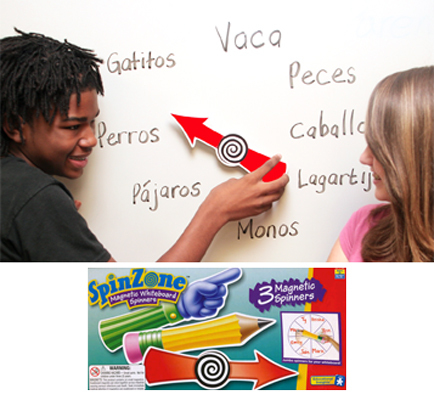 I am using the magnetic spinners almost daily in my French classroom, my students love it when we play the Spinner Game. I draw 2 circles on the board one with the subjects (Je, tu, etc) and one with the verb infinitives. I can use it as a formative or summative assessment tool or we play team games. Never before has verb conjugation been such fun! There are so many uses for these super spinners! Many teachers at my school have these!